I'm Here. I'm Queer. What the Hell do I read? : The Unwanted - A Gay High School Junior Has To Save The Amazons! The Unwanted - A Gay High School Junior Has To Save The Amazons! Gay high-school junior Jamie Thomas has enough trouble on his hands trying to get through the school year without being pulverized by Billy Stratton, his bully and tormentor. But the mother he was always told was dead is actually alive—and she's an Amazon. Sixteen years after she left him on his father's doorstep, she's back—and needs Jamie's help. A curse has caused the ancient tribe of warrior women to give birth to nothing but boys, dooming them to extinction—until prophecy reveals that salvation lies with one of the offspring they abandoned. Putting his life on the line, Jamie must find the courage to confront the wrath of an angry god to save a society that rejected him. 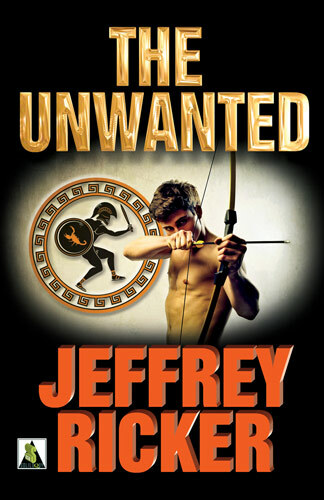 Add your review of "The Unwanted" in comments!